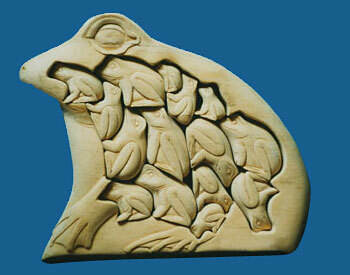 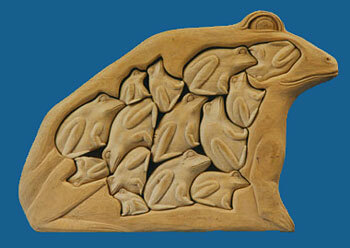 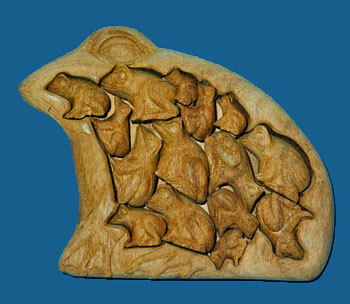 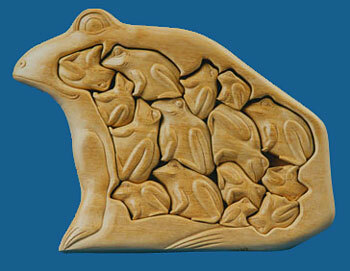 20 tiny frogs are hiding in this small frog shaped puzzle. 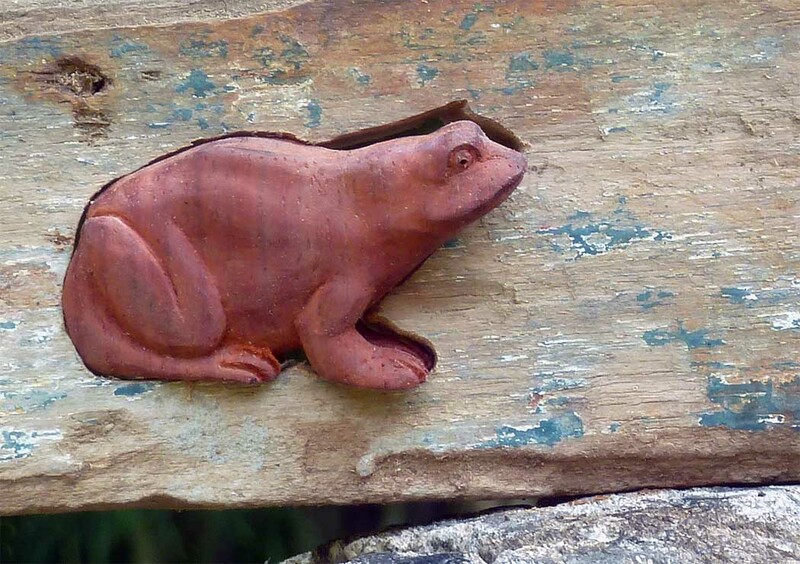 Pulai Wood. 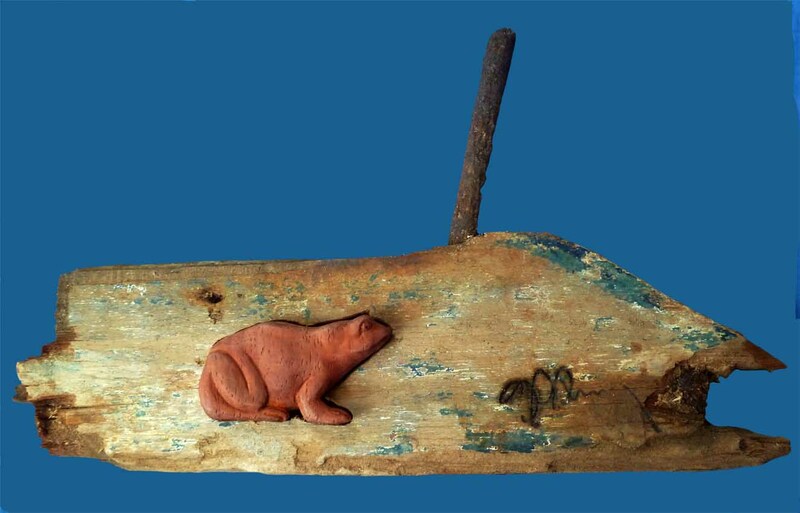 This frog from red Paduk wood had a very long way before he found this piece of Indonesian driftwood from an old fishing boat, still with an iron bar to keep the boat planks together.Size 24x15x2cm approx. 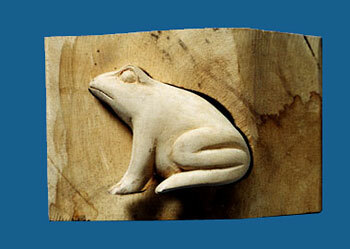 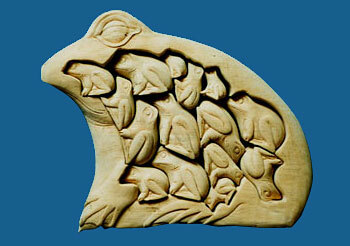 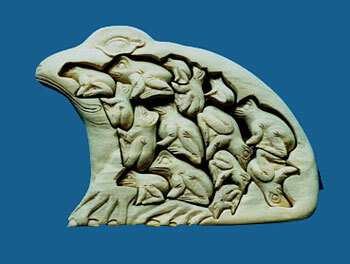 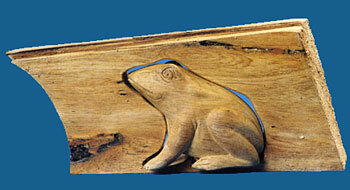 A smal frog made with a piece of driftwood.